EUR/USD: Neutral (since 05 Jun 18, 1.1700): EUR to stay supported, 1.1750 may not be strong enough to contain short-term strength. We highlighted yesterday (25 Jun, spot at 1.1660) that the recent downward pressure has eased and the positive bias suggests that EUR is more likely to test the top of the expected 1.1550/1.1750 consolidation range first. EUR subsequently touched a high of 1.1713 and closed higher for the third straight day. Upward momentum has improved quickly with the rapid pace of advance and from here, 1.1750 may not be strong enough to contain EUR strength. A break of 1.1750 could potentially lead to further rapid rise in EUR as the next significant resistance is another 100 pips higher at 1.1850 (the high seen on the day of ECB’s meeting). All in, we expect EUR to stay underpinned from here unless there is a dip below the ‘key support’ at 1.1605. GBP/USD: Neutral (since 25 Jun, spot at 1.3265): GBP has moved into a consolidation range. 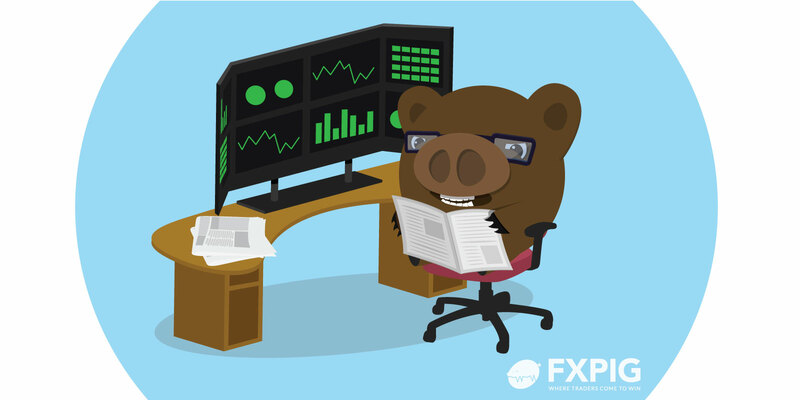 No change in view.We highlighted last Friday (22 Jun, spot at 1.3245) that the “bearish phase appears to be close to ending” and the subsequent break of 1.3290 indicates that the outlook for GBP has shifted to neutral. Last week’s 1.3102 low is deemed as a short-term bottom and the current movement is viewed as the early stages of a consolidation phase. The immediate bias is tilted to the upside but at this stage, any up-move is viewed as part of a 1.3175/1.3360 consolidation range and not the start of a sustained directional move. AUD/USD: Bearish (since 20 Jun 18, 0.7385): Bearish phase appears to be close to ending. No change in view.While we highlighted in the recent updates that the bearish phase in AUD is “approaching oversold levels” and indicated that any “weakness is likely limited to 0.7330, 0.7300”, the strong rally last Friday came as a surprise (AUD gained +0.83% and closed at 0.7439). However, the ‘stop-loss’ level at 0.7455 is still intact and only a break of this level would confirm an end to the current bearish phase. This scenario appears to be likely unless AUD can move and stay below 0.7375 within these 1 to 2 days. NZD/USD: Neutral (since 22 May 18, 0.6945): NZD to consolidate and trade sideways. There is not much to add as NZD traded within a relatively narrow range of 0.6886/0.6921 yesterday and registered an ‘inside day’. As indicated yesterday (25 Jun, spot at 0.6910), the recent downward pressure has eased and the risk for a shift to a bearish phase has diminished. That said, it is too early to expect a sustained up-move as NZD is more likely to consolidate its recent loss and trade sideways at these lower levels, likely between 0.6840 and 0.6975. USD/JPY: Neutral (since 21 Feb 18, 107.35): USD has likely moved into a broad consolidation phase. USD traded in a choppy manner yesterday as it dropped to a low of 109.35 before rebounding quickly. The price action offers no further clue and we continue to hold a neutral view and expect USD to trade sideways within a 109.10/110.65 consolidation range for now. Looking ahead, the downside appears to be more vulnerable and a clear break of 109.10 would suggest that USD is ready to test last month’s low near 108.10.